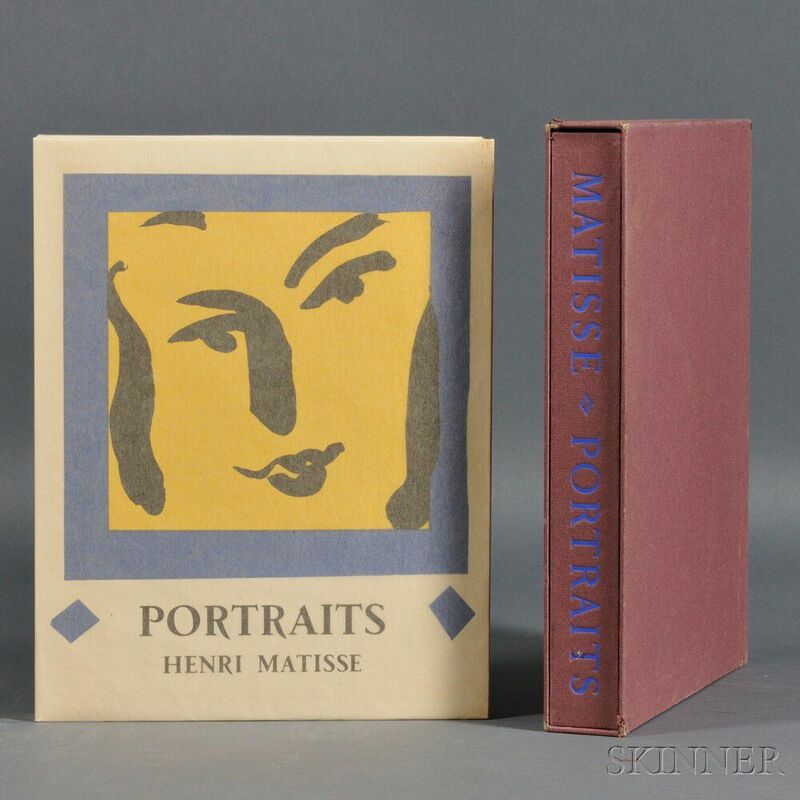 Matisse, Henri (1869-1954) Portraits. Monte Carlo: Andre Sauret, 1954. 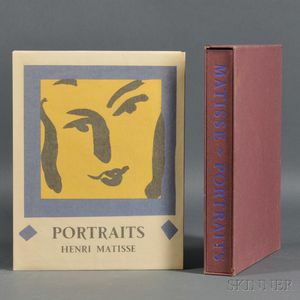 First edition, limited, numbered ninety on the limitation page, quarto, lithographic frontispiece, illustrated with sixty black and white portraits and thirty-three tipped in colored reproductions of paintings; in publisher's soft covers and glassine wrappers, chemise, and slipcase, all very good; slipcase slightly bumped, the top edge coming away, loss of surface paper to one corner, original price written in ballpoint pen on slipcase, 12 3/4 x 10 in.